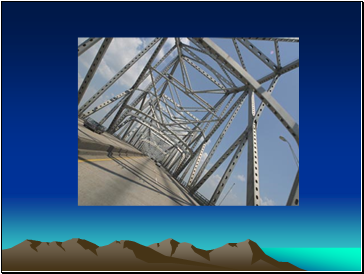 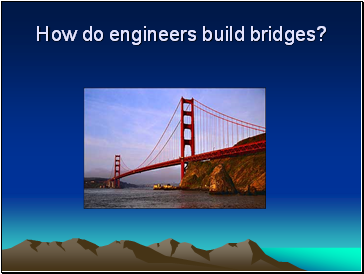 How do engineers build bridges? 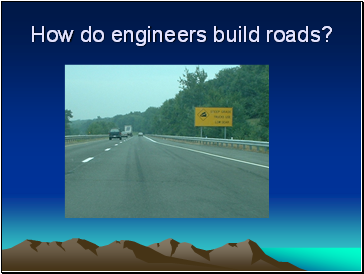 How do engineers build roads? 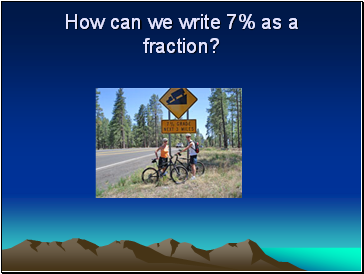 How can we write 7% as a fraction? 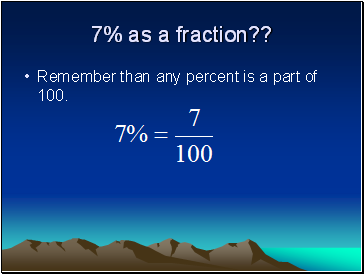 Remember than any percent is a part of 100. 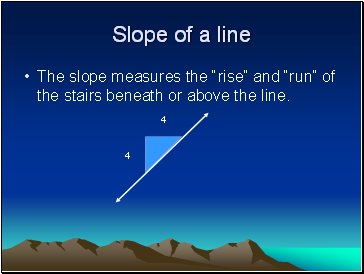 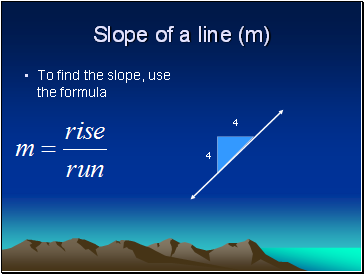 The slope measures the “rise” and “run” of the stairs beneath or above the line. 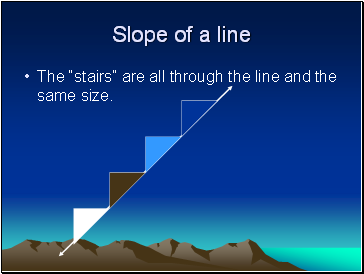 The “stairs” are all through the line and the same size. Can I make a line if the stairs aren’t the same size? 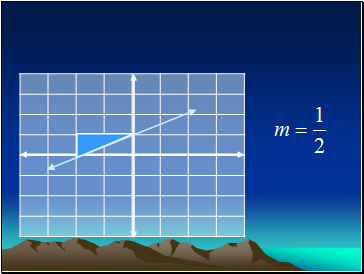 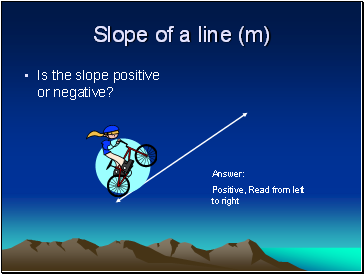 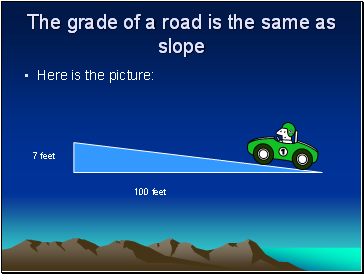 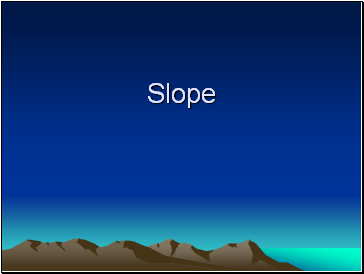 Is the slope positive or negative? 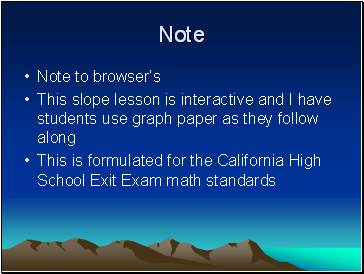 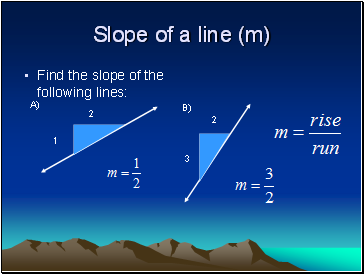 Draw 2 lines with the following slopes on your graph paper. 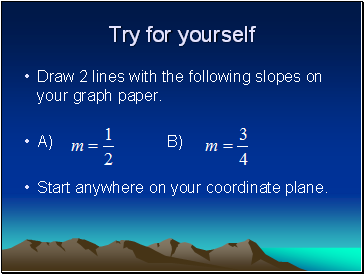 Start anywhere on your coordinate plane.